Heroes Signed Memorabilia have been trading in Autographs since 2007. 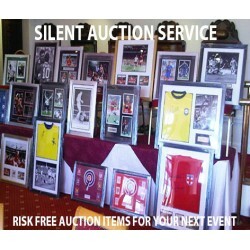 We specialise in supplying genuine & authenticated Signed Sports, Music & Film Memorabilia. If you are looking for great gift ideas or would like to buy a really unique present for someone special, 'Heroes' have a wide range of quality Sporting Memorabilia for that extra special occasion. Each of our items are personally hand-signed by the personality & come with a Certificate of Authenticity. As well as selling our products we also provide 'No Risk' Fundraising solutions for Events Companies, Charities & Golf Societies so whether you're planning a Charity event or looking to buy a special gift please don't hesitate to get in touch. 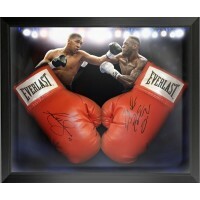 We have a Bespoke Framing Service, We frame at competitive prices with all products finished to the highest quality. 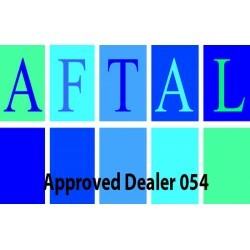 We are AFTAL (Autograph Fair Trade Association Ltd) approved dealers & proud members of the UACC and know where every one of our items has come from. As well as this, all of our signed products come with a Certificate Of Authenticity that guarantees the product you buy is 100% genuine. Our website is being updated all the time so if you don't see the item you are looking for please call or email and we will do our best to source it for you through our many contacts and agents within the industry.